All eyes are on Regent Seven Seas Cruises® as the long-anticipated Seven Seas Explorer sets sail on its maiden voyage this past July. Delivering ultimate sophistication at sea, this all-inclusive luxury cruise is making waves with its all-suite accommodations, a world-class spa and complimentary excursions in some of the world’s greatest ports of call. Aboard, six-star treatment abounds, boasting the highest ratio of staff to guests in the industry. This made-in-Italy vessel features numerous lavish details, including museum-quality artwork throughout, polished woods and cutting-edge lighting. 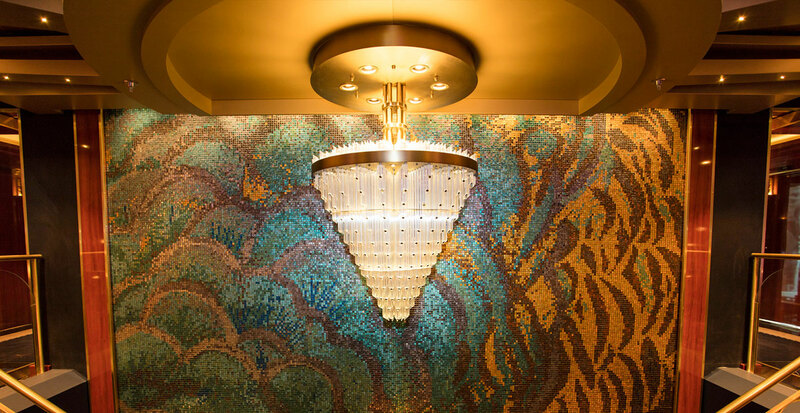 Be among the first to experience what has been deemed the world’s most luxurious ship! 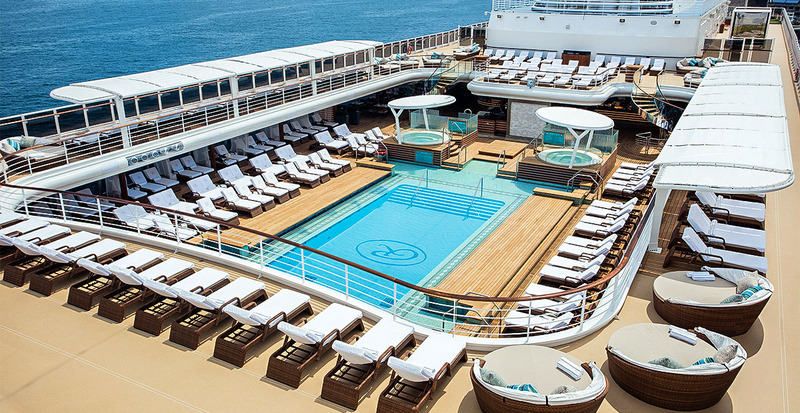 Come inside the most magnificent ship to sail the seven seas. Step into one of 375 lavishly designed suites, each one boasting a private balcony and a bathroom detailed in marble and stone. 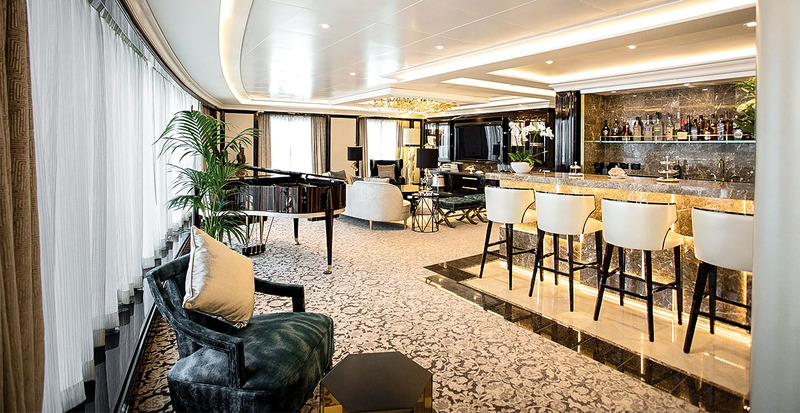 The crowning jewel is the 4,443-square-foot, two-bedroom Regent Suite set in the ship’s bow. Your personal butler will thoughtfully unpack your bags as you explore a lavish 1,000-square-foot balcony and private garden, though you may be distracted by the sight of a Steinway Arabesque piano and complimentary Guerlain amenities. Make time to indulge in the first-of-its-kind in-room spa with a personal sauna and soak in the spacious hot tub overlooking sweeping sea views. 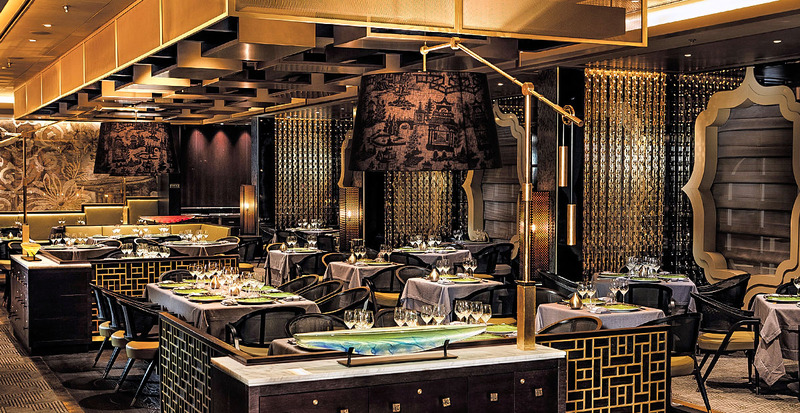 Eight dining venues offer exquisite menus that please every craving. Indulge in the best of Asia’s culinary traditions at Pacific Rim where lotus-shaped windows reveal breathtaking sea views as you dine on Korean barbecue lamb chops with wok-fried beans and eryngii mushrooms. Casual bites are within easy reach as you lounge at the Pool Grill, mere steps from the deck 11 swimming pool. Enrich your mind with lectures from intriguing historians, artists and authors, courtesy of Regent Seven Seas Cruises’ partnership with the Smithsonian Institute. 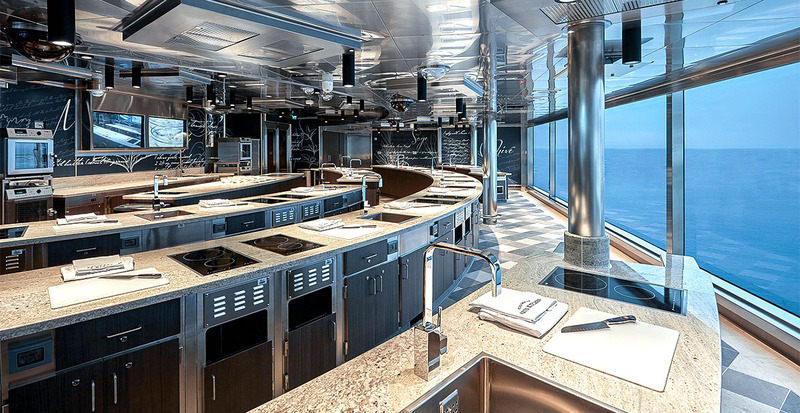 Culinary enthusiasts and budding chefs alike can join hands-on workshops at the Culinary Arts Kitchen, learning the intricacies of dishes using ingredients and recipes inspired by various ports of call. A Julliard-trained musical director oversees the ship’s stage spectaculars, with assistance from writers, directors and choreographers with considerable Broadway experience. Delight in custom-designed shows performed by a talented seven-piece orchestra and a dozen singers and dancers. Aboard the groundbreaking Seven Seas Explorer®, you’ll revel in an unparalleled cruising experience in which your every need is accommodated in deluxe surroundings. Sail in style, anchoring at white-sand beaches along the Mexican Riviera and venturing to historical cities on the Mediterranean coast. Wherever your journey takes you, we’ll ensure your time on the Seven Seas Explorer is an unmatched adventure in luxury cruising. Let us plan your unforgettable voyage on the new Seven Seas Explorer®!